Medical records are essentially a compilation of all your medical history throughout your lifetime. They include vaccination records, notes from your annual check-ups, diagnoses, treatments, diagnostic test results, and more. 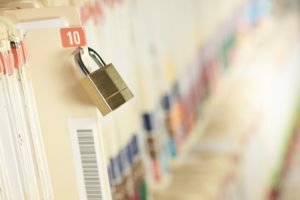 These records are typically housed in medical facilities and you will likely never need them, but there are some instances where you will need to obtain copies of your medical records. If you are wondering if you need to obtain copies of your medical records, ask yourself the following five questions. Are you moving out of town? Did you get a new job that requires you to relocate? Are you moving to finally be with your significant other in a long-distance relationship? Are the kids grown and out of the house, leaving you free to buy that beach house in sunny Florida? If so, you will need to obtain copies of your medical records. When you move and select a new physician, that doctor will need to review your old records in order to provide you with the best care. Do you need proof of vaccination to register for school? Are you registering for college? Do you have kids registering for school? Typically, schools require vaccination records before accepting new students and that means you will need to obtain copies of yours. Are you seeing a medical specialist? Do you have a condition that requires you to see a specialist? If so, you might need to get copies of your medical records to hand over. A specialist will want access to any pertinent information regarding the condition or injury and that can only be found in your medical records. Do you want to compile a family medical history to help your family? Do you want to keep your family safe and healthy? This question really is a no brainer, which is why every family should compile a family medical history. That means future generations will know about the family predisposition to heart disease, cancer or other genetic conditions. In order to do this accurately, you’ll need to obtain copies of medical records from everyone to compile an all-encompassing and comprehensive family medical history. If you like being prepared, it’s a good idea to have copies of your medical records on hand. You never know just when you’ll need them and the last thing you want is to find yourself in an emergency situation without access to them. That’s why you shouldn’t wait and should order copies of your medical records today! Let Order Medical Records Help You Obtain Copies of Your Medical Records Today! So, you need copies of your medical records but aren’t sure where to start. Well, the good news is that the entire ordering process can start and stop with Order Medical Records. For over 26 years we have been obtaining copies of medical records for our clients and we make the entire process quick and painless! Plus, you can order your records online, right from the comfort of your own home. Start the process online at Order Medical Records today!